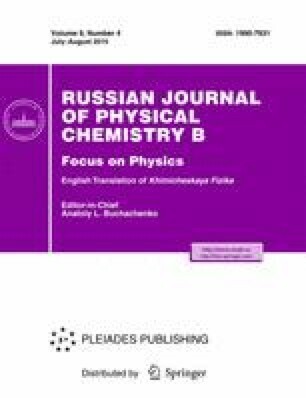 A theoretical analysis of the nonlinear field dependence of the pulsed radiation-induced conductivity of polystyrene in strong electric fields is performed. An explanation of the previously uncomprehended phenomenon of the sharp increase in the radiation-induced electrical conductivity in the presence of an electric field with a strength of above 5 × 107 V/m is proposed. This behavior cannot be explained within the framework of Onsager’s theory of the field-assisted thermal production of free charges from generated geminate pairs. Original Russian Text © A.P. Tyutnev, B.L. Linetskii, A.V. Nikerov, V.S. Saenko, 2015, published in Khimicheskaya Fizika, 2015, Vol. 34, No. 7, pp. 58–61.